Apple Pay adoption received a big boost in France today as two major banks officially announced their support for Apple's mobile payment system. HSBC officially launched a dedicated support page for Apple Pay, confirming an earlier discovery by French tech news site iphon.fr. 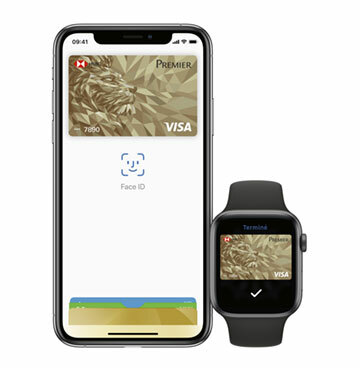 Meanwhile, BNP Paribas made good on an announcement last month to bring Apple Pay support to its customers by announcing the compatibility of its Visa bank card with Apple's digital wallet on compatible Apple devices. BNP Paribas and HSBC join 25 other banks that support Apple Pay in the country, although Apple has yet to update its European Apple Pay bank partners page to reflect the change. Apple Pay first launched in the United States in October 2014 and has since expanded to many other countries, including the United Kingdom, Canada, Australia, China, Singapore, Switzerland, Belgium, France, Japan, Spain, Italy, Sweden, Finland, Denmark, Kazakhstan, Russia, New Zealand, Brazil, Poland, Ireland, and Ukraine. Yet the Netherlands remains practically the last apple-pay-free country in Europe :( also no HomePod, no cellular Apple Watch etc. Doubly irritating because android users can all use nfc contactless and apple even won’t open up the nfc chip to compensate so we remain the only ones who have to wave actual cards about to pay for stuff (people here use contactless for over 50% of transactions i believe). Actually, according to the Dutch banks, it’s Apple not actually offering the service to them. Apple don’t respond to any attempts at communication about the subject. It's up to the banks, and in the US, merchants, as to whether Apple Pay is accepted. Apple translated the Apple Pay support documents into Dutch two years ago when they began discussions with the banks there, but the banks have to sign up and agree to pay Apple a tiny amount (usually around .015%) and have their cards work with the system, e.g., this article is about some additional banks in France agreeing to participate in Apple Pay. Banks in many countries that have controlled the credit card system are sometimes reluctant to give up any portion of the fees they charge or control over the transactions. Come on Apple? Talk to your bank and local regulators. Nice to see these banks in France agreeing to use Apple Pay. The more places the better. 5 years I've been waiting for this. Also Apple Pay for N26 was made available in the UK this morning.